The Constitutional Convention was the convention that was set about to fix the problems associated with the Articles of Confederation. The Convention ended with the creation of the Constitution (aka, the Great Compromise). The biggest areas of debate were: representation- whether it would be by state or by population, Slavery- whether it would be kept and if slaves counted as people for taxes and representation, the presidency- how long/what their powers would be, and the powers of the federal government. 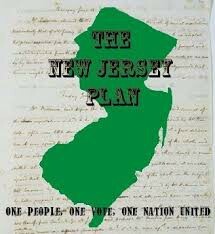 Plan that was geared more toward the larger states. Based off the ideas of James Madison. Called for three branches. Strong national government with power to make laws and levy taxes. It allowed for the creation of the House of Representatives where it is representation based on population. 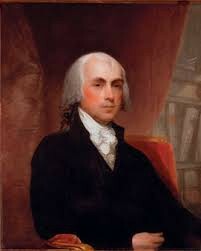 Father of the Constitution. 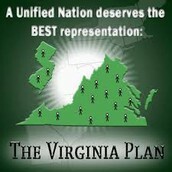 Worked with Washington and Edmund Randolph to create the Virginia plan. Was a big supporter of the plan and one of the biggest speakers in favor of it. 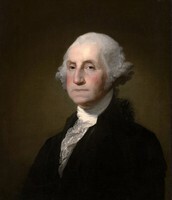 Later became the 4th president of the United States of America. Father of the nation. Worked with James Madison and Edmund Randolph to create the Virginia plan. Was the president of the Convention. Became the first president of the United States of America. Was in favor of smaller states. 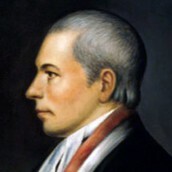 Was proposed by William Paterson of New Jersey. It allowed for representation based on state- One vote per state. Was rejected even though it gained significant support from smaller states. Allowed for the creation of the Senate where there is equal representation based on statehood. 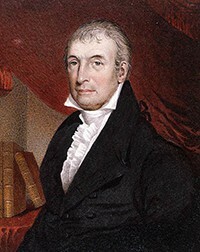 He was a Representative from New Jersey who proposed the New Jersey plan. He was born in 1745. 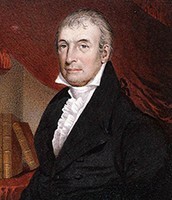 Representative who helped create the New Jersey plan. He would not sign the Constitution because he felt it violated states rights. Was a big anti-federalist and helped push for the bill of rights. The first problem was that it started a week later than it was suppose to start. Many representatives did not show up because they felt like the convention was going to destroy America. It took three months to finally come up with a compromise- and not everyone was in support of it even then. Biography.com Editors. "William Paterson." Bio.com. A&E Networks Television, 2 Apr. 2014. Web. 15 Sept. 2016. Stiverson, Gregory A. "American National Biography Online: Martin, Luther. "American National Biography Online: Martin, Luther. American National Biography, Feb. 2000. Web. 15 Sept. 2016. Munson, Kelley. "The New Jersey Plan: Explanation & Supporters." Study.com. Study.com, n.d. Web. 15 Sept. 2016. 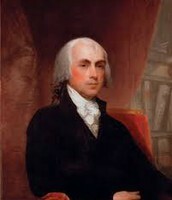 "James Madison." The White House. The White House, 30 Dec. 2014. Web. 16 Sept. 2016. Linder, Douglas O. "The Constitutional Convention of 1787 in Philadelphia. "The Constitutional Convention of 1787 in Philadelphia. Exploring Constitutional Conflicts, n.d. Web. 16 Sept. 2016.